We hire ten students (ages 14-18) from area high schools and put them to work – to include life lessons. 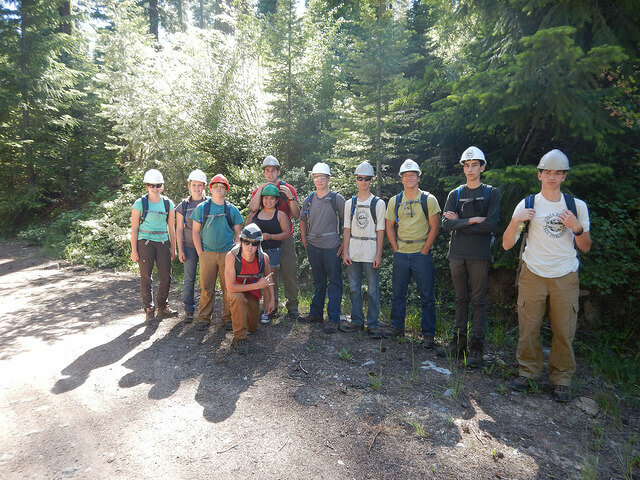 Our nationally recognized and award-winning Student Trail Crew is a summer work program, located in Plumas and Lassen National Forest, for high school teens. 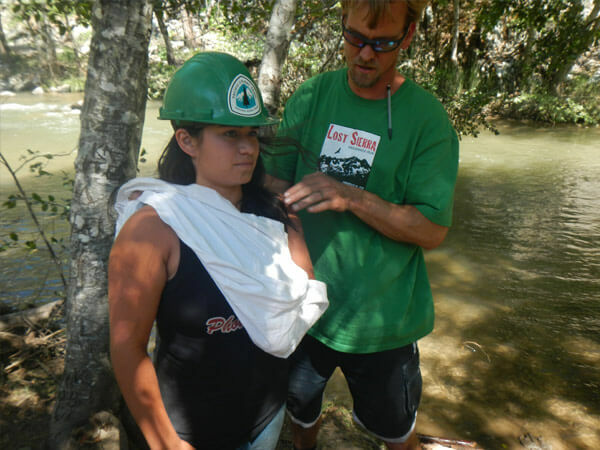 Our program teaches teens how to build trails, survive in the outdoors and gain employable life skills. 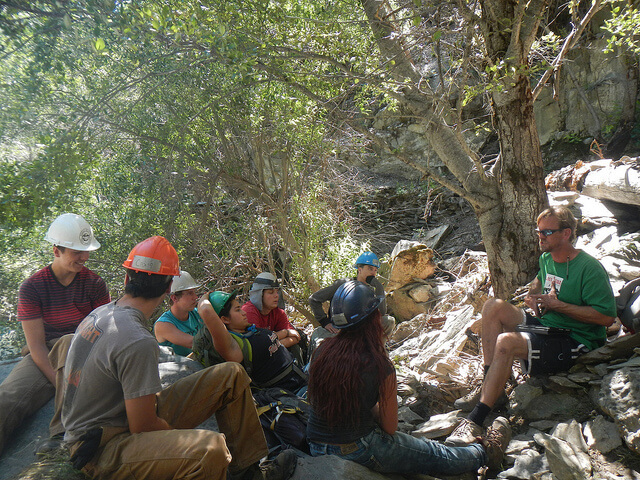 Student Trail Crew members are supervised by two adult leaders that are familiar with the work area, are experts in trail restoration, and are well versed in backcountry safety. 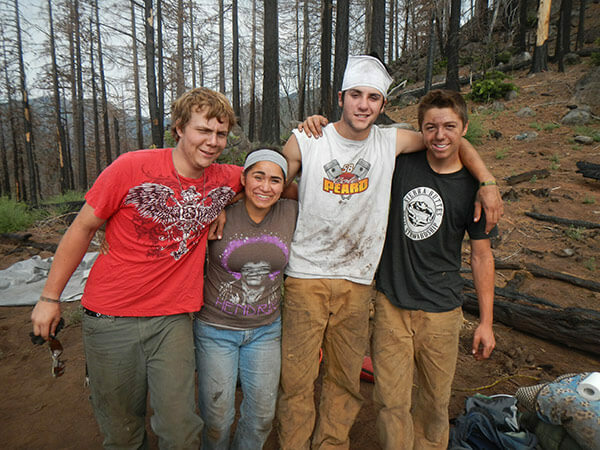 Storrie Student Trail Crew live in tents, cook meals, and practice Leave No Trace camping – all working and living together in an outdoor community. Food and transport are provided. 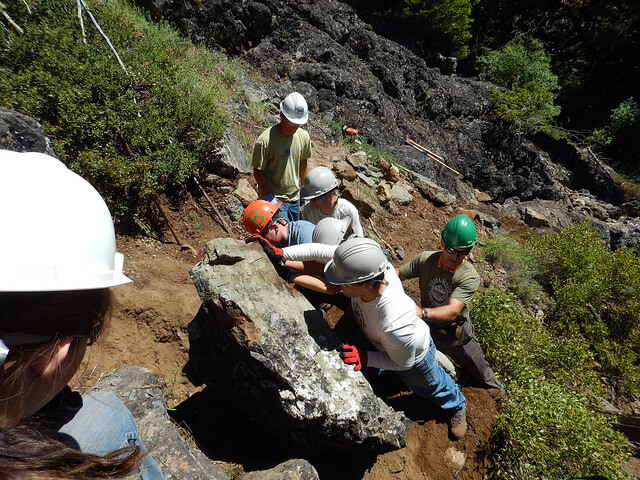 Storrie is a partnership program with the Plumas and Lassen National Forest using fire restoration dollars. Cooking Food in the Outdoors – although not specifically a trail skill but they’ll be hungry for sure! 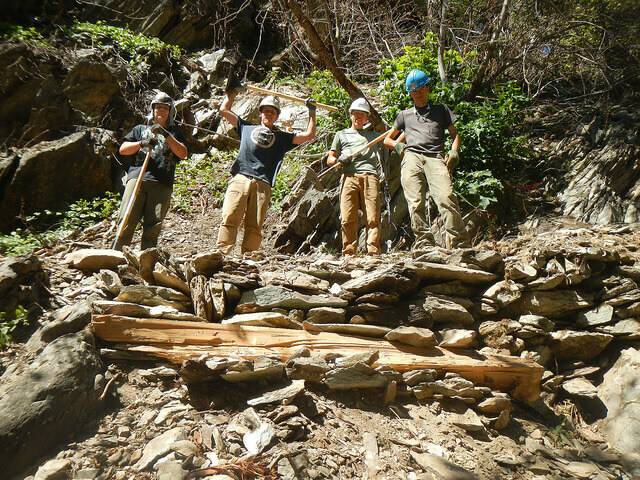 Want to be part of our next Student Trail Crew? Print out both pages of the application (below) and fill out. 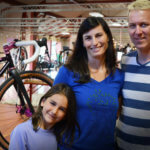 Email to Mandy at mandy@sierratrails.org or mail to PO Box 26 Graeagle, CA 96103. Application deadline is April 5th, 2019. Preparing to Go to Work! 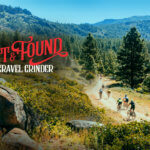 We teamed up with the awesome staff of the Sierra Buttes Trail Stewardship and Feather River College for a sweet week of trail building, mountain bike riding, and river swimming in Quincy. So much fun!